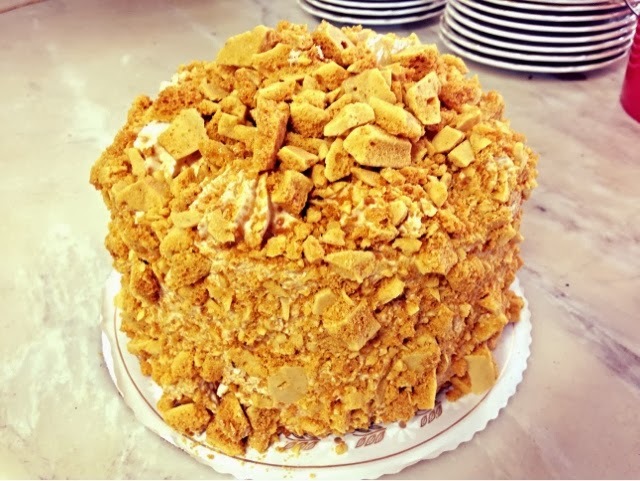 While Pink Champagne is perhaps the most well known of the Madonna Inn cakes, locals and family agree that Toffee Crunch is, hands down, our most delicious and unique cake. Combining delicate white cake with fluffy, real whipped cream and caramelized, crunchy toffee, this cake is simple yet decadently out-of-this-world! The secret to this sweet masterpiece is the fresh, handmade toffee bits. The toffee starts out with a bit of oil, a splash of coffee, lots of sugar and some corn syrup. If even a little bit of sugar starts to burn on the bottom of the pan, the whole batch will taste burnt - so it is very important to keep stirring throughout the process. 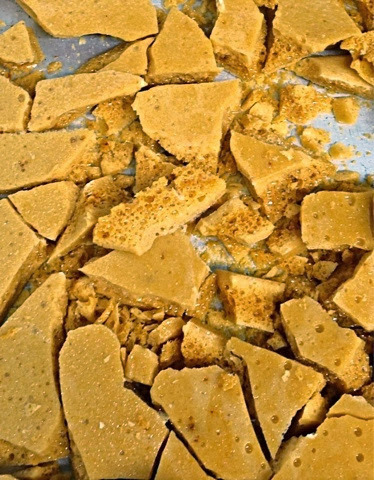 When the mixture is hot enough, baking soda is added: turning the toffee from a dark caramel brown to a fluffy golden yellow. (If you're around the bakery during this stage of the process, you will hear Kyle yell out "hot sugar" as he carries the pot of toffee from the burner to the wooden counter!) 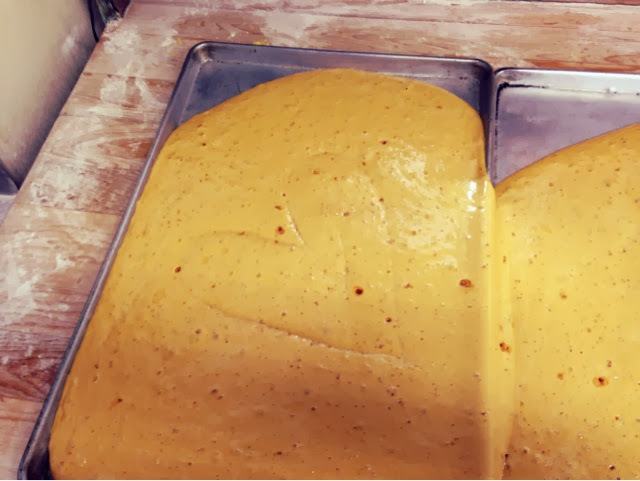 From here, the boiling hot toffee is quickly poured onto sheet pans where it cools before being shattered into little golden nuggets.